Despite impressive performances by Gilbert Melendez and Cris "Cyborg" Santos, this week's Top 10 rankings stand pat. 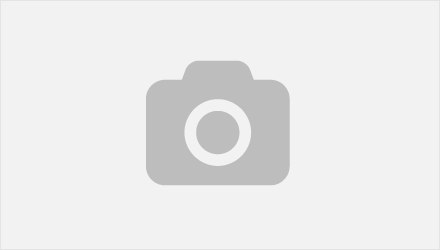 ProElite on Wednesday announced the return of Olympic silver medalist Judoka Sara McMann. The details are somewhat scarce, but Strikeforce has reached a new broadcast agreement with Showtime, promoting up to eight live events per year. Frank Mir, with his arm-breaking submission of Antonio Rodrigo Nogueira, made a move up the heavyweight ranks of the World Top 10 MMA Rankings. 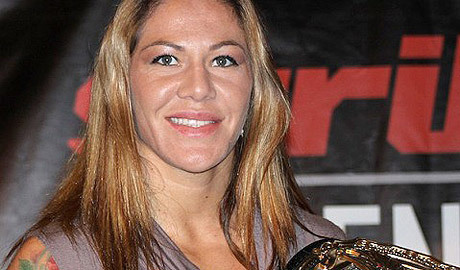 Strikeforce women's featherweight champion Cris "Cyborg" Santos has plans to back up her ranking as the top pound-for-pound female fighter in the world. 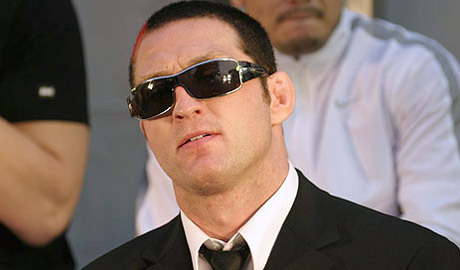 Jason 'Mayhem' Miller, Alexis Davis and Jimmy Wallhead highlight Tuesday's edition of MMAWeekly Radio. Urijah Faber jumped up the bantamweight rankings with his UFC 139 victory over Brian Bowles, becoming the No. 1 contender to champion Dominick Cruz. 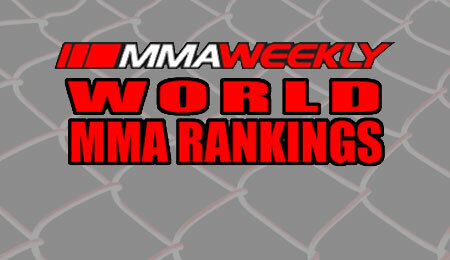 MMA Top 10 Rankings: Welcome Renan Barão! With a blistering performance against Brad Pickett at UFC 138, Renan Barão finally breaks into the MMA Top 10 rankings. Following stellar performances this past weekend, Donald "Cowboy" Cerrone and Ben Askren finally cracked the MMAWeekly.com World MMA Rankings. There's a long list of fan activities for UFC 137: Penn vs. Diaz this week in Las Vegas. Check out the list! She may have been the underdog heading into Strikeforce on Saturday night, but Canadian Alexis Davis surely believed in her ability to beat Amanda Nunes. Watch all of our Strikeforce & M-1 Global: Fedor vs. Henderson pre- and post-fight videos with our one-stop shopping Fedor vs. Henderson video playlist. The official Showtime Sports recap of the July 30 Strikeforce & M-1 Global: Fedor vs. Henderson event. Relive all of the excitement. Strikeforce: Fedor vs. Henderson quick results on Saturday, July 30, 2011, at Sears Center in Hoffman Estates, Illinois. The main event features Fedor Emelianenko vs.
Strikeforce: Fedor vs. Henderson event on July 30, 2011, in Chicago, fight card rumors.